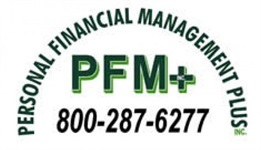 Home | Personal Financial Management Plus, Inc.
Our comprehensive solutions are designed to help you achieve your most valued goals. We work hard to strengthen the financial wellness of you and your family. Your agenda is our agenda. From young professionals to retirees, we strive to build financial confidence in all chapters of life. We build trusted relationships that keep your best interests at the heart of our firm. Trust. Honesty. Integrity. Values matter, and we live by ours every day. We adhere to a time-tested process that advances your best interests. With over 55 years of experience, our advisors are dedicated to your success. At Personal Financial Management Plus, Inc., we put the Plus in planning. We believe sound strategies inspire clarity and confidence while empowering people to achieve their goals. As your personal advocate, we make it our mission to simplify and strengthen your financial life so you can focus on the things you value most. With over 55 years of experience, our advisors unite their individual expertise to form a truly dynamic collective. Through our team-based approach to wealth management, we strive to truly understand your most valued goals and deliver the sophisticated financial strategies that your lifestyle deserves.